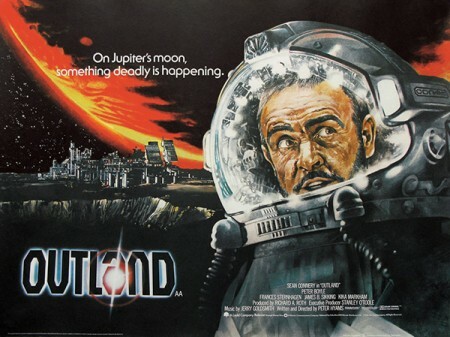 We continue our SIR SEAN CONNERY birthday celebration with a look back at OUTLAND (1981). It’s fairly safe to say that Sir Sean is not a sci-fi guy. I don’t picture him watching Star Wars in his Marbella pad. He turned down LORD OF THE RINGS and THE MATRIX. 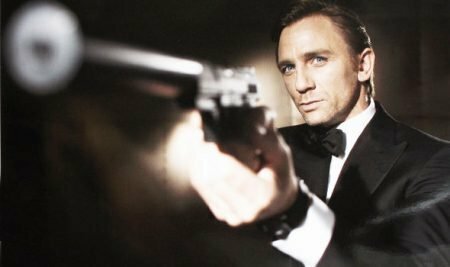 He never did a comic book movie (James Bond does not count). 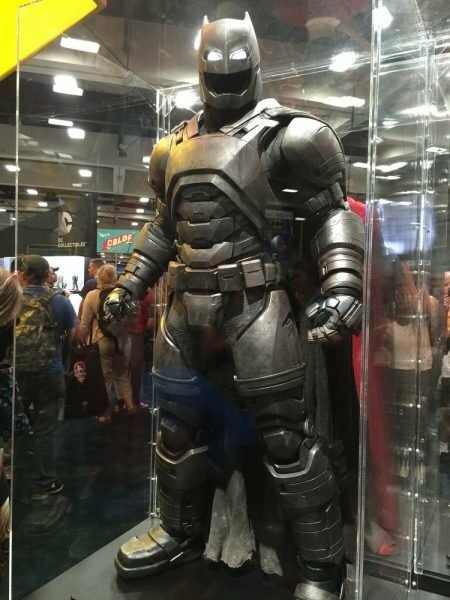 He’d have been a great Ras Al Guhl in a Batman film and Liam Neeson has a touch of Connery about him in that part. STAR TREK V had a baddie written with Connery in mind (the mcguffin is even named SHA-KA-REE in tribute!) but he was wisely busy elsewhere with that same summer’s INDIANA JONES movie. He did play BOTH Robin Hood AND King Arthur (ROBIN AND MARIAN; FIRST KNIGHT) but those are legends rather than all out fantasies. We’ll forget ZARDOZ and the red er..’costume’ that went with it. 1998’s AVENGERS (no not THAT one!) was a waste of Connery’s time and talents (let’s hope they paid him big bucks). But he’s a bloke’s bloke. 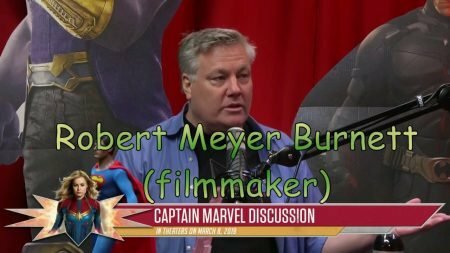 So any fantasy movies he did try out were better when they had an action emphasis (be it the voice of the Dragon in DRAGONHEART or Indiana Jones’ Dad in THE LAST CRUSADE). Connery’s swansong sadly was LEAGUE OF EXTRAORDINARY GENTLEMEN. 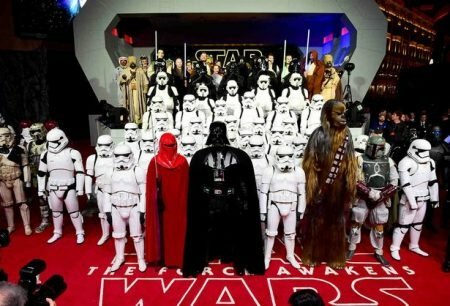 It’s not THAT bad and indeed, it foresees many of today’s trends, including liberal application of literary characters’ interaction and shared super-heroic universes in a sea of CGI. But it’s clear that Sir Sean preferred his threats onscreen to be of THIS world. 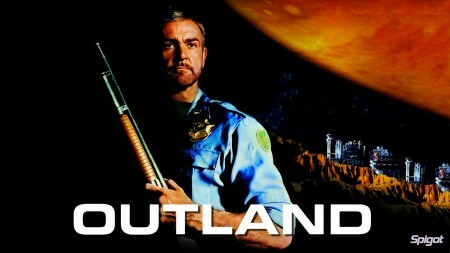 One movie where he got it ‘spot on’ though was OUTLAND. There IS some science fiction element but it’s basically DIE HARD IN SPACE or HIGH NOON IN SPACE (makes sense: Connery = Bruce Willis + John Wayne). It’s an underrated classic in its genre / sub-genre. Like ALIEN but with human antagonists. And surely ripe for a remake today with our modern concerns? NICK CLEMENT will now brave the dangerous territories of space and crime to show us why OUTLAND show us some vintage SEAN CONNERY POWER! 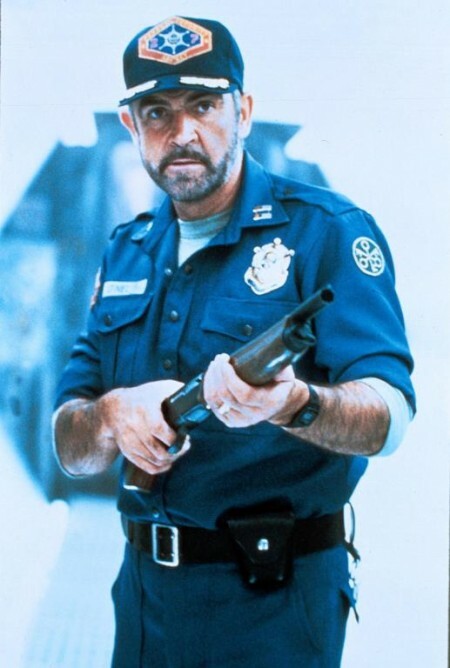 Outland is an extremely fun science fiction re-imagining of High Noon directed with effective skill by Peter Hyams, who also wrote the original screenplay. Released in 1981, this is one of those now-quaint by comparison space action sagas, a film that utilized models and miniatures and matte paintings and all of that old-school movie magic that was used to suspend our disbelief before everything started getting crapped out all slick-and-shiny by computers. Starring Sean Connery as a deep space miner who uncovers a conspiracy involving his superiors and revolving around a series of violent showdowns between Connery and a variety of assassins and potential killers, the film clearly has its feet planted firmly in the Old West, with the outer space setting serving as the then-bankable way of delivering the story (Westerns were considered “dead” at the time, and the only way Hyams could apparently get the film made was to set it in space). Co-starring Peter Boyle, Steven Berkoff, John Ratzenberger, Frances Sternhagen, James Sikking, and Clarke Peters and featuring a typically terrific score from Jerry Goldsmith (who also did the music for Capricorn One, another excellent Hyams effort), Outland was a solid hit in theaters back in the early 80s, and has since taken on a long life as a favored home video item. The recently released Blu-ray retains all of the intentional grit and showcases excellent A/V specs (the 2.40:1 widescreen transfer really is fantastic) and a brand new audio commentary with Hyams. 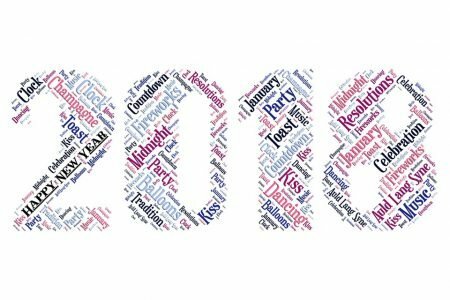 After spending close to a decade working in Hollywood, Nick Clement has taken his passion for film and transitioned into a blogger and amateur reviewer, tackling old, new, and far flung titles without a care for his cerebral cortex. His latest venture: Podcasting Them Softly, finds him tackling new ground as an entertainment guru, and along with his spirited partner Frank Mengarelli, are attracting some diverse and exciting talent to their site. 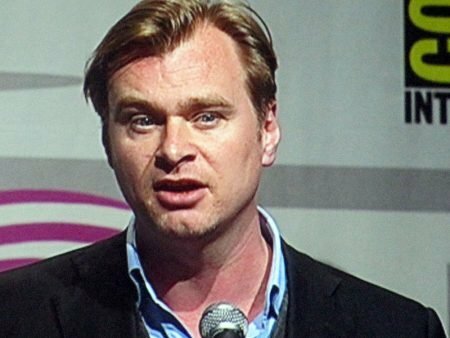 Some of Nick‘s favorite filmmakers include Michael Mann, Martin Scorsese, Tony Scott, Oliver Stone, David Fincher, Werner Herzog, Terrence Malick, and Billy Wilder, and he’s a huge proponent of the “31 Flavors of Cinema” school of thought. Favorite films include The Tree of Life, Goodfellas, Heat, Back to the Future, Fitzcarraldo, Zoolander, Babe, and Enter the Void.